Medical textiles are a major growth area within the technical textiles industry and the range of applications continues to grow and increase in diversity with every new development. 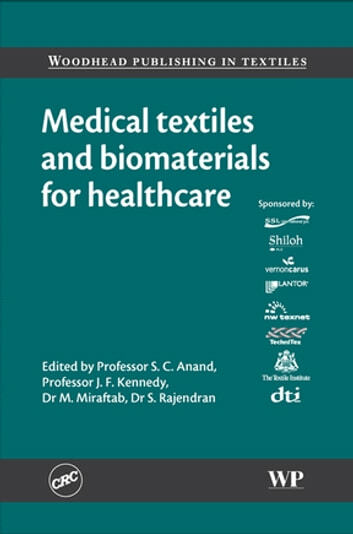 Recent innovations include novel chitosan-alginate fibres for advanced wound dressings, ultrasonic energy for bleaching cotton medical textiles, durable and rechargeable biocidal textiles, spider silk supportive matrix for cartilage regeneration, barbed bi-directional surgical sutures and intelligent textiles for medical applications. 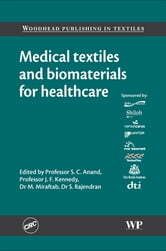 Medical textiles and biomaterials for healthcare is a culmination of the worldwide research into medical textiles and biomaterials. It is divided into eight parts covering the main areas of basic biomaterials, healthcare and hygiene products, infection control and barrier materials, bandaging and pressure garments, woundcare materials, implantable and medical devices and smart technologies. Each part contains a comprehensive overview written by leading experts in the area. The overviews are then followed by a selection of the best papers from the 2003 MEDTEX Conference, hosted by the University of Bolton. It has been extensively edited to produce what is expected to be the leading reference on this subject.